Aberdeen is facing a brain drain of EU citizens, with almost 50% planning to leave Scotland due to Brexit, it has been claimed. The figures come from an international study from KPMG, which showed Scotland faces losing nearly 63,000 EU citizens – mostly young qualified workers with highly-demanded skills such as IT and engineering. Compared to the rest of the UK, Scotland could see the greatest proportional outflow of people from other EU states. Aberdeen has the highest proportion of non-UK EU citizens in Scotland, and could be hit if half its 25,000 workers quit the country. 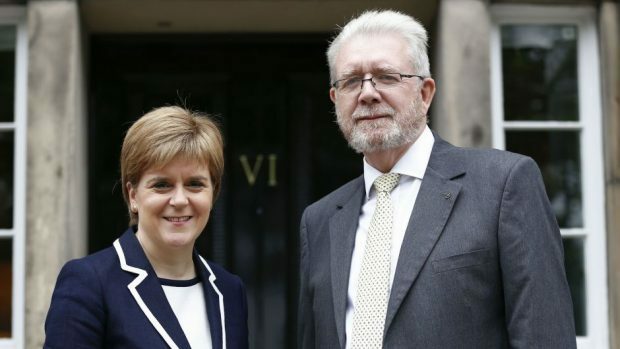 A spokesman for Scotland’s Brexit Minister Mike Russell said quitting the EU was shaping up to have a “disastrous” effect on the nation’s economy. He said: “The Tories’ obsession with immigration is threatening a brain drain on a huge and unprecedented scale. “That will be deeply damaging for the whole country, including Aberdeen and the north-east, which relies on many thousands of EU workers. KPMG’s Brexit expert in Scotland, Phil Merchant, said businesses must prepare for a potential skills shortage and consider how they currently attract, retain and supplement their workforce. He said: “The irony is not lost that Scotland, a stronghold for a Remain vote in the EU referendum, may feel the impact of Brexit the hardest. “Importantly, half of respondents planning to leave the EU said they would leave the country either in 2019, or after Brexit takes effect. The report emerged following a leaked draft of a Westminster white paper on post-Brexit immigration policy outlining “the end of rights-based, unconditional free movement”. But, in response to a question from SNP Westminster leader Ian Blackford, Prime Minister Theresa May said in the Commons: “There is a reason for wanting to ensure that we can control migration. “It’s because of the impact net migration can have on people, on access to services, on infrastructure. “Crucially it often hits those at the lower end of the income scale hardest.